Over the Mothers Day weekend, Mr. S, my boy, my girl and I headed over to Knebworth in Hertfordshire to Sugar Boutique to treat my mum to an afternoon tea. I cannot begin to tell you how excited my children were when I told them that we were going out for none other than a Beauty & The Beast themed afternoon tea, it was going to be a real treat for them, too. Both of them are huge Disney fans, but this film is probably their favourite of all of the DVDs that they have. My girl in particular, also loves going to tea shops anyway. One of her favourite weekly activities is going for a cup of tea (warm milk in her case!) with her Granny in various coffee shops locally. Before we got started on the sweet items, we were each served the most delicious warm savoury croissant and vol au vent, along with a baked camembert with crudities and bread sticks in the centre of the table. I have never had a savoury croissant before, but it was yummy! As you can tell from the pictures, the attention to detail was simply incredible, from the Cogsworth cookies, the edible chocolate roses, (one of which was in the familiar glass dome!) to the Lumiere candle desserts, and the most delicious “tale as old as time” cupcakes with popcorn flavour frosting on top. More and more kept being added to the table, too! Lumiere was right, the grey stuff is delicious! No Beauty & The Beast afternoon tea would be complete without an appearance from Mrs. Potts and Chip. I think I am going to have to buy this set myself. I absolutely love it! There was so much to choose from and to enjoy, but we could not manage eat it all, so we took what was left over home with us in a cake box to enjoy later on over the course of the weekend. Everything about the visit was far beyond our expectations. I have never been anywhere like this before, it was such a high standard. As I have already said, the attention to detail was simply incredible, but this in no way compromised the taste of the food, and the service was excellent too, which makes all the difference, doesn’t it? Once we left, we had one more treat lined up for my boy. My mum took my girl for the remainder of the afternoon and Mr. S, my boy and I headed over to watch the new Beauty & The Beast movie. What better way to round off such a wonderful day?! Sugar Boutique also do other themed afternoon teas, I cannot wait to find an excuse to make another visit! Also, I have already hinted to told Mr. S that the cake for my 30th birthday in the summer could should be ordered from here. Here’s hoping he remembers! Oh my god I cant wait to go in the summer! It looks amazing!! How gorgeous are those treats! The roses look too good to eat. This is such a short drive from where we live I’ll have to take the little one for tea one weekend very soon! Oh I love the fact that it’s themed. Your kids were justifiably excited – I would have been too haha. 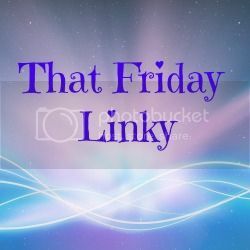 #thatfridaylinky (from last week – sorry it’s late I’ve been away).